Today is Southborough’s big annual NON-event. 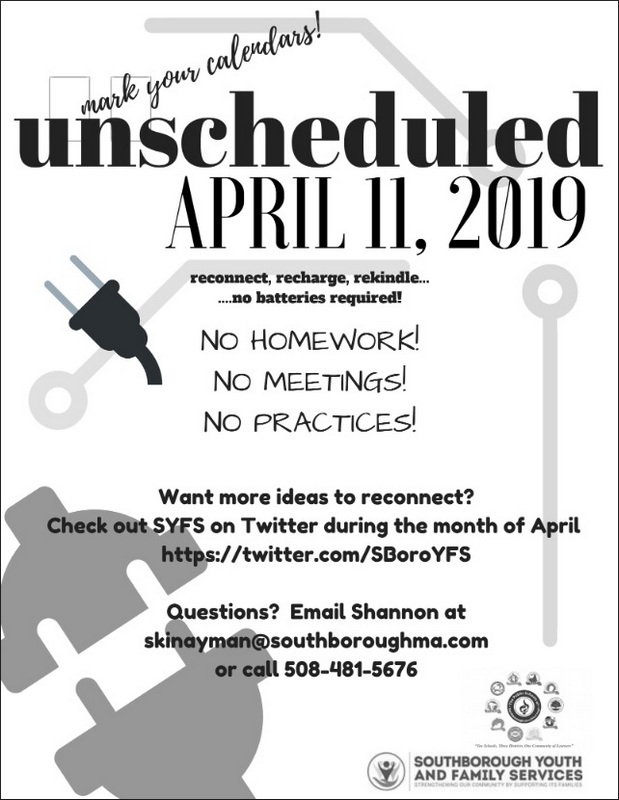 It’s the day, Southborough Youth and Family services asks everyone to clear the evening to spend family time. 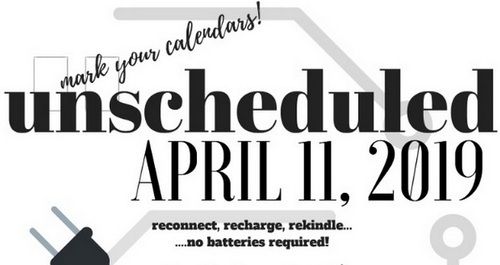 As they’ve done for the past few years, SYFS is also asking everyone to “Unplug” that night from individual screens. Tonight is meant for families to take time together to unwind and catch up. To allow for that, the schools agreed not to assign homework, town leagues shouldn’t have any practices, and Town committees and organizations agreed not to hold meetings. 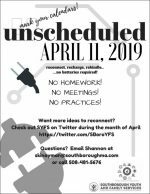 Adults are encouraged to leave work in time for a family dinner, cancel or reschedule evening meetings that take place outside of Southborough, and make this a special night for the entire family. Looking for different things to do? Have an indoor picnic! Lay a blanket in the living room and serve picnic foods you can easily eat with your hands. Go outside and collect rocks. See who finds the most interesting one! Visit a relative you haven’t seen in a while! Plan a vacation—even if it’s just for fun! Look through old photos. What was happening? How old was everyone? It’s fun to reminisce! Have a relaxing dinner together. Maybe you can even cook one together. Maybe you can eat it backwards, starting with dessert. Have a Lego building session.